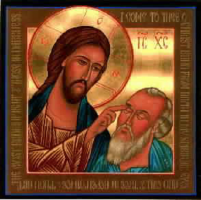 "We Should Approach a Person As a Mystery"
We heard today the story of the man born blind. We do not know from experience what physical blindness is, but we can imagine how this man was walled in himself, how all the world around him existed only as a distant sound, something he could not picture, imagine. He was a prisoner within his own body. He could live by imaginations, he could invent a world around himself, he could by touch and by hearing approximate what really was around him; but the total, full reality could only escape him. We are not physically blind, but how many of us are locked in themselves! Who of us can say that he is so open that he can perceive all the world in its width, but also in its depth? We meet people, and we see them with our eyes; but seldom it happens that beyond the outer shape, features, clothes, – how often does it happen that we see something of the depth of the person? How seldom it is that we look into a person’s eyes and go deep in understanding! We are surrounded by people and every person is unique to God, but are people unique to us? Are not people that surround us just ‘people’, who have names, surnames, nicknames, whom we can recognise by their outer looks but whom we do not know at any depth? This is our condition: we are blind, we are deaf, we are insensitive to the outer world, and yet, we are called to read meanings. When we meet a person, we should approach this person as a mystery, that is as something which we can discover only by a deep communion, by entering into a relationship, perhaps silent, perhaps in words, but so deep that we can know one another not quite as God knows us, but in the light of God that enlightens all and each of us. 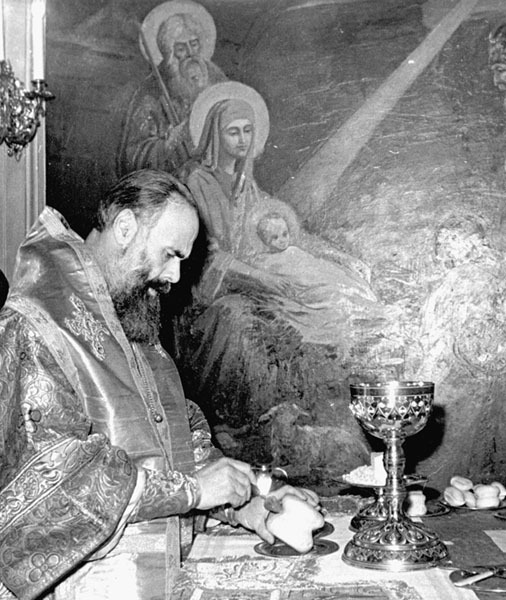 And more than this: we can do, each within his own power, within his own gifts, what Christ did: He opened the eyes of this man. What did this man see? The first thing he saw was the face of the Incarnate Son of God, in other words, he saw love incarnate. 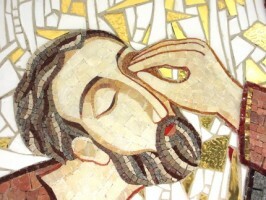 When his eyes met the eyes of Christ, he met God’s compassion, God’s tenderness, God’s earnest concern and understanding. In the same way could so many people begin to see, if by meeting us they meet people in whose eyes, on whose face they could see the shining of earnest, sober love, of a love that is not sentimental but is seeing, a love that can see and understand. And then, how much could we be to people around us a revelation of all the meanings that this world holds and contains through art, through beauty, through science, through all the means by which beauty is perceived and proclaimed among human beings. But are we doing this? Is our concern to convey the width, and the depth, the beauty and the meaning of things to every person whom we meet? Are we not rather concerned with receiving than with giving? And yet, Saint Paul who knew what it meant to receive and to give, said, ‘It is a more blessed thing to give than to receive’. And yet how much had he received! He had received the knowledge of God in his own experience; he had received teaching, and knowledge, and experience within the Old Testament, and then Christ revealed Himself to him: what did he not receive! 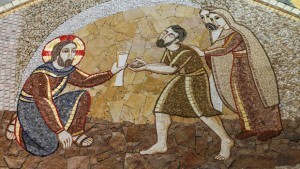 And yet, he exulted more in giving than in receiving, because he did not want to be the owner of all the richness that had come his way; he wanted to share it, to give it, to set aglow and afire other lives than his own. Let us reflect on how rich, how richly endowed we are, how much it was given us to see, and to hear. And let us realise at the same time how tragically walled we are within ourselves unless we break this wall in order to give, as generously, as richly, as abundantly as we were given. And then indeed, our joy will be fulfilled according to Christ’s promise. And no one, nothing will ever be able to take it away from us. Amen!